Today’s skincare market is evolving faster than ever, and with new, revolutionary innovations hitting the shelves on an almost daily basis it can be hard to know what our skin really needs. Here, we break down the five most common skincare mistakes that can be easily rectified for glowing, healthy skin. 1. Using make-up wipes They’re quick, easy and a cinch to use, meaning make-up wipes are often the first product we reach for after a long day or late night – especially in the midst of the festive party season. However, the time-saving benefits of wipes are largely overshadowed by the downsides. These make-up dissolving tissues are often steeped in high levels of alcohol and preservatives to stop them from drying out. These ingredients are less than kind to the skin, and can upset the delicate PH balance of the acid mantle, leading to problems such as dry patches and sensitivity. Instead, switch to a micellar water to kick-start your cleansing routine. ELEMIS Smart Cleanse Micellar Water effectively removes make-up – even stubborn mascara – leaving your skin ready for a deeply renewing cleanse. 3. Eye cream application The delicate eye area comes with its own set of requirements, and when it comes to tackling dark circles, fine lines and puffiness, the key is all in the application. The skin surrounding the eye is around ten times thinner that the skin on the rest of your face, so it demands to be treated with delicacy. When applying your eye cream or serum, a heavy hand may encourage the breakdown of collagen, so instead applying in a light, tapping motion. Don’t be tempted to take the product further onto the lid and lashes – simply around the orbital bone is ideal. 4. 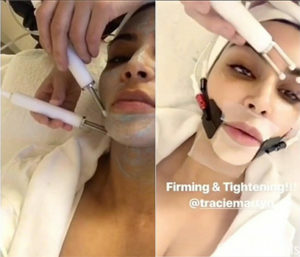 Over-exfoliating There are many salon-strength peels and exfoliators on the market today, but in the case of skin renewal, bigger is not always better. While exfoliation is undoubtedly important for encouraging skin renewal and vibrancy, it’s important not to overdo it. Chemical and physical formulas both come in varying degrees of strength, and it’s important not to give your skin more than it can handle, as over-exfoliation can lead to redness and irritation. ELEMIS Skin Buff contains perfectly spherical Jojoba beads that won’t cause micro-lacerations to the surface of the skin, while Papaya Enzyme Peel uses natural fruit enzymes instead of a physical element, which work to gently dissolve dead cells. 5. Not keeping consistent With so many products on offer today, each one promising remarkable results, it’s tempting to want to try them all. But chopping and changing your skincare products as regularly as your clothes may not be the best way to obtain a healthy glow. While it should be easy to see if a cleanser or exfoliator suits your skin, other products need a little more time to make their mark. Generally speaking, it can take up to eight weeks for the benefits of a serum, oil or moisturiser to be noticeable on your skin, so it pays to keep consistent. 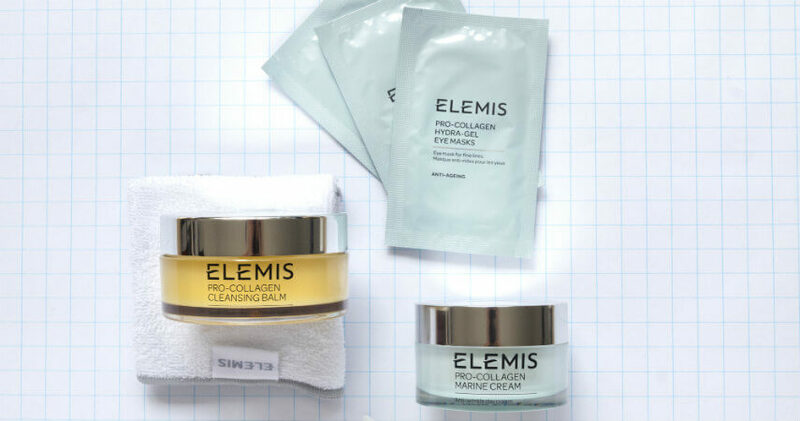 Anti-ageing ingredients such as the Padina Pavonica in ELEMIS Pro-Collagen range, and the peptides in Peptide4 Night Recovery Cream-Oil take time to work on the skin. So, for the most noticeable results, stick to a routine of carefully chosen products and use them diligently.